Fire Alarm Installation: Fire Alarm Installers Vancouver - Fire Alarm System Installer Surrey | ComFire Ltd.
From Fire Alarm Installations to Testing & Maintenance: we have years of industry experience testing, repairing, maintaining and installing fire alarm panels across greater Vancouver. We can handle the entire project, from fire alarm design and engineering to completion and occupancy! Community Fire Protection provides and installs fire alarm systems tailored to each site’s unique needs. 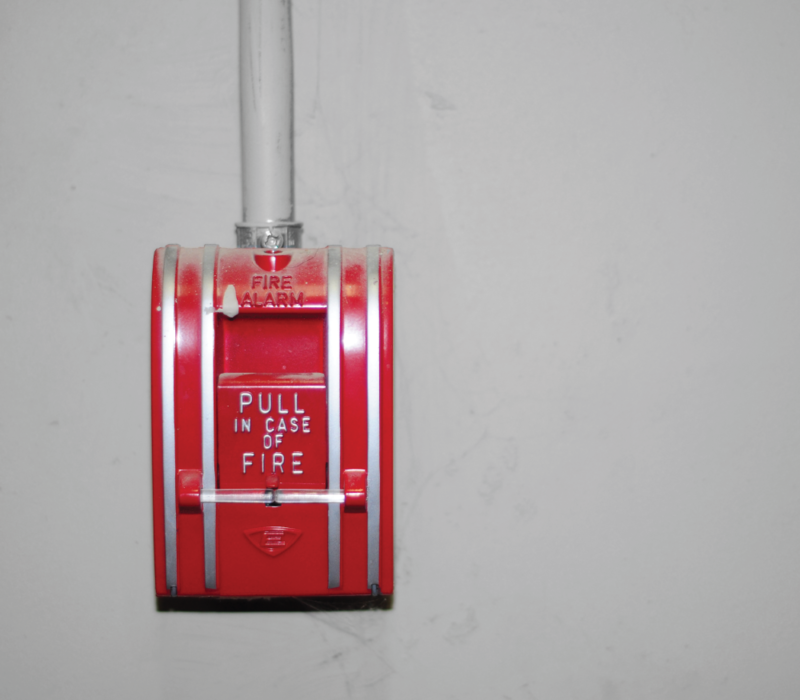 From fire alarm system design, to permitting, to installation, to testing and inspection, to final approvals, Community Fire Protection provides it all. Ensure that the building will be in compliance with all municipal bylaws as well the BC Building Code requirements for Fire Alarm Systems. Each jurisdiction in the Lower Mainland and Fraser Valley region may handle Fire Alarm repairs or replacement differently. Depending upon the municipality/city and the type of fire alarm repair or scope of fire alarm panel replacement will often determine if the entire system is required to be upgraded to current code. Verification of the Fire Alarm System is required anytime that the control panel is changed and should be completed by an independent and approved 3rd party. Be careful what you get locked into! Choosing what type of Fire Alarm System you upgrade (conventional vs. addressable) and what manufacturer can significantly increase the long-term cost of ownership. If you are a property manager or strata council member looking to make an informed decision, reach out to Community Fire Prevention for a free consultation. The key to every relationship is trust and we aim to create long term relationships with our clients. Help you stay compliant. As outlined in CAN/ULC-S536 fire alarm systems are required to be maintained and tested on both an annual and monthly basis. The installation of a Fire Alarm System shall conform to CAN/ULC-S524 “Installation of Fire Alarm Systems” and subsequently verified in accordance with CAN/ULC-S537. Community Fire Prevention staff help you meet all requirements of both your local Authority Having Jurisdiction (AHJ) as well as outside insurance agencies. Keep your fire alarm system in peak operation. Community Fire Prevention technicians stay current with manufacturer requirements and the current BC Fire Code and Vancouver Fire Bylaw regulations. Community Fire works with several local engineers to design and install all types of alarm systems from single zone to fully addressable fire alarms. We work diligently with all building operators, owners and occupants to minimize disruptions. Our service packages, parts and labor are affordable and flexible. We work with you to structure payment terms that meet the requirements of your site’s budget. If you are looking to buy a fire alarm or would like to speak with a fire alarm system designer, installer, or inspector, we invite you to speak with us today! We install fire alarms in Surrey, Richmond, Vancouver, Coquitlam, Langley, and across the greater Vancouver Area. According to Bylaw No. 8090, all pre-1992 Multi-Residential Buildings are required to apply for a life safety upgrade permit by January 1, 2014. The Life Safety Upgrade Bylaw is designed to address the health and safety of residents through enhanced protection of life and property from fire. Community Fire Prevention has completed many of these projects as a “one stop shop” offering endusers a complete package including the engineering, installation and monitoring necessary to bring buildings up to current safety standards.